Travis Landing is a small neighborhood located on the southern shores of Lake Travis. Through many years this land on the winding Colorado River was the home of the *Comanche and other early native Americans. Completion of the Mansfield Dam in the 1940's created Lake Travis and Hudson Bend, named after Wiley Hudson, who built a ranch home in the area in the 1800's. In 1943, Joe and Margaret Cocke purchased 56 acres which, in 1960, was subdivided as "Travis Landing." The Cocke Family established a lake residence in 1947. The Cocke Horse Farms held annual Hunter and Jumper shows from 1949 to 1951. Participants came from near and far to enjoy the shows as well as the beauty of Lake Travis. Contact parks@tlpoa.org to sign up. PROPERTY TRANSFER FEE. A one-hundred dollar ($100) Property Transfer Fee is assessed by the Travis Landing Property Owners Association. This fee is assessed for any Lot sale or deed transfer and paid at the time of closing or deed transfer. To request a Resale Certificate, please complete the Real Estate Property Transfer Form. 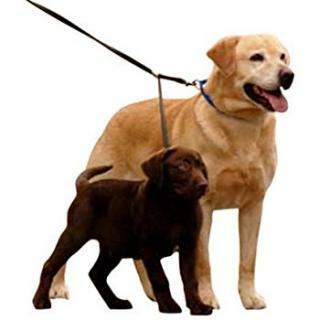 Please be aware there is a Leash Law in Travis County. Dogs running loose in the neighborhood can cause unpleasant encounters with your neighbors. No one wants to call Animal Control over unruly pets so please be respectful and keep your pets on a leash. TLPOA will provide breakfast tacos, donuts and coffee. Saturday, April 27th, 6:30 pm to 9:30 pm at Behind Shaffer/Miner houses at end of Lands End toward the park. Come on down to the first TLPOA Texas Luau! Get your lei at the door, then enjoy live music, food, drinks and games to welcome all of the new neighbors who have moved here over the past year. Get to know them over Mai Tais and Polynesian punch to the music of singer and guitarist Josh Patton. We’ll have BBQ pork and chicken, salads, sweet potatoes and much, much more! Try your hand at limbo, hula hooping or ulu maika - or just relax in true Travis Landing style!